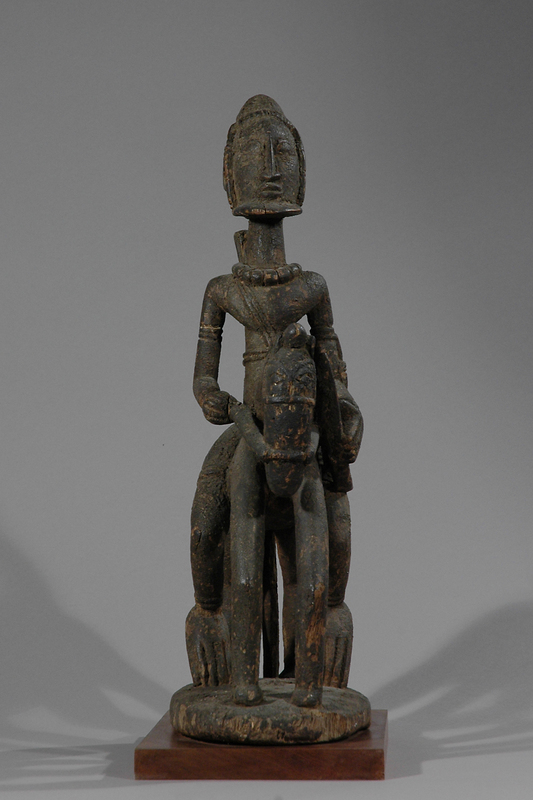 Dogon figures showing horses and riders depict the prestige and power surrounding an animal that has been associated with these qualities since it was introduced into West Africa more than a thousand years ago. 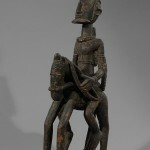 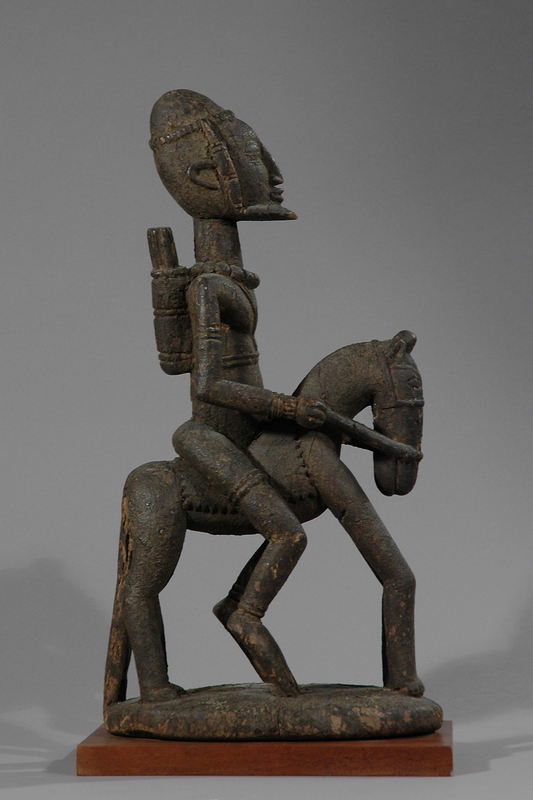 In Dogon society, horses were generally considered a luxury reserved for rich or powerful people. 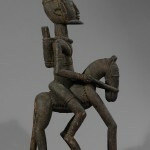 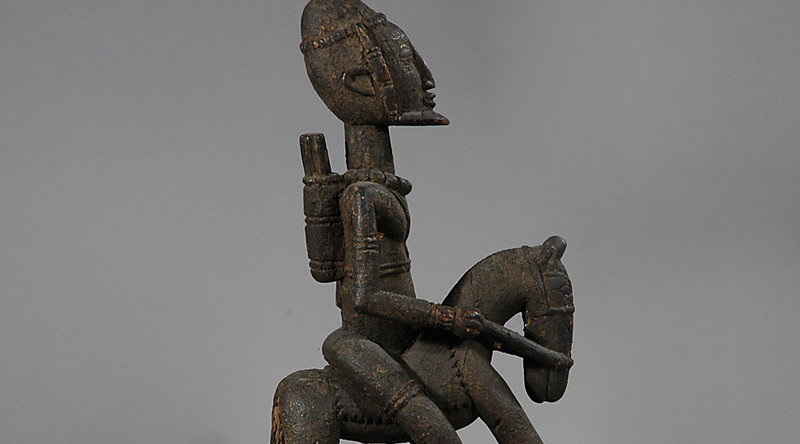 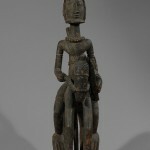 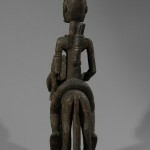 Horses occur in Dogon beliefs about the creation of the world and the horse and rider figures are seen as a symbol of a mythological personage. 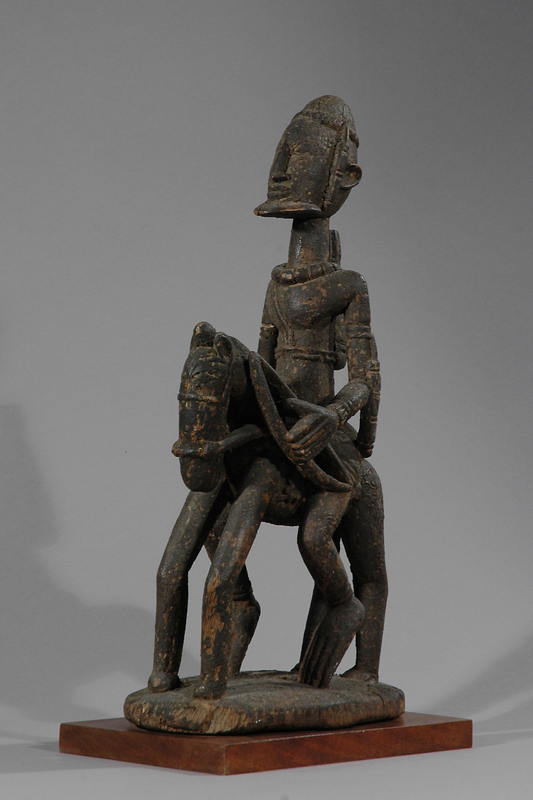 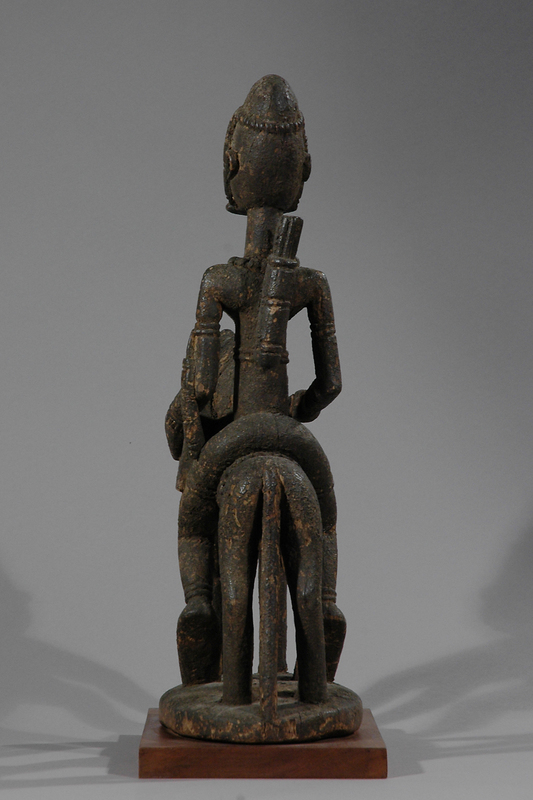 The horse and rider figures theme is a common one found throughout the art of the Western Sudan, and is often seen in sculpture of the Senufo and Bamana who neighbor the Dogon.